Dubai: How many times have you grabbed a burger over a late night ‘dinner’ driving back home despite making no such plans? Chances are you would say quite often and that’s because in Dubai most ‘patty-in-a-bun’ experiences don’t come at a premium. Nothing illustrates the ‘burger phenomenon’ in Dubai better than the fact that there’s always a burger joint around the bend waiting to flip the perfect juicy meat patty at any hour of the day or night. For many, expats and Emiratis, burgers are even a way of life – a phenomenon that’s now distinct to Dubai and its people, says Dr. Saif Aldhaheri - one of the founding partners of UAE’s newest upscale ‘Emirati’ burger concept, Burger Hood. At last count (a flippant one), the emirate was home to at least 15 ‘specialist’ burger chains – some homespun like Burger Hood and some truly international. Add to that (when it opens its doors to public) Wahlburgers, the burger restaurant chain owned by the family of Hollywood A-lister Mark Wahlberg and you quite get the story why burger is the new gold in Dubai. “We have almost 70 restaurants under contract right now, with various franchisees and deals in different places. We also just made a deal in the Middle East for 20 restaurants,” Wahlberg told US media. If the Max Payne hero knows Dubai’s insatiable appetite for burgers, one of his stops is sure to be here in the emirate. When McDonald’s, the world’s largest hamburger fast food restaurants chain landed in the UAE for the first time in 1994 - setting up shop at the Al Ghurair Centre in Dubai – it took them at least two more years to open their next two outlets – one at Deira City Centre followed by another on Al Wasl Road. Over the next two decades though they were quick to open another 125 outlets in the country - 61 in Dubai – that flipped almost 50m million burgers in one particular year. While it may not say everything about the amazing burger story, it does indicate how residents of the emirate have taken to the humble patty in a bun concept. 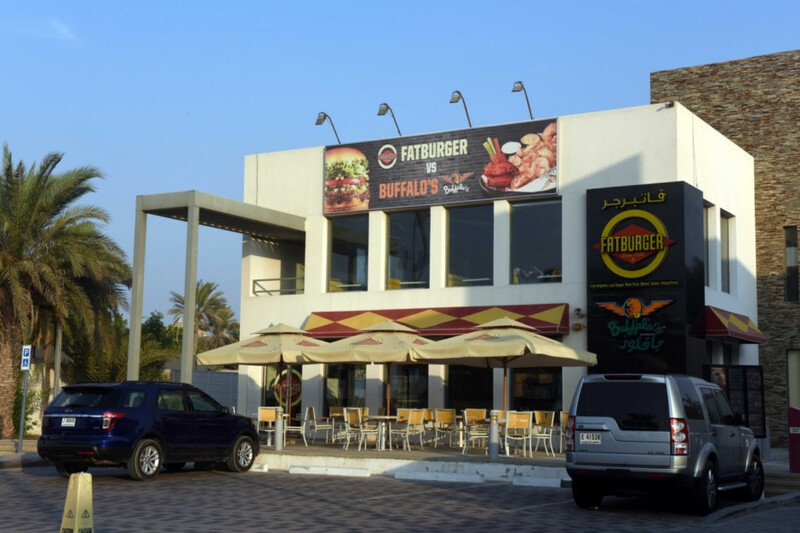 “Since Fatburger first opened in Dubai in 2008, the response has been tremendous,” Andy Wiederhorn, CEO of Fatburger, yet another all-American international burger chain with significant presence in Dubai, noted recently while announcing his company’s investment plans in Dubai. Fatburger is not alone. In recent years, several reputed burger chains have made a foray into Dubai – from Max (launched November 2012), Europe’s oldest and Sweden’s only food firm with a fully carbon-labelled menu specialising on low-fat burgers to Shake Shack (launched April 2011) that sprouted from a hot dog cart in Madison Square Park in Manhattan, the world’s leading burger chains have all come to town. “Who does not like burgers! With about 200 nationalities in Dubai, there is a huge demand for healthy and organic foods that can be offered in minutes since life is on the fast track for people of Dubai. With different types of burgers (beef, chicken and veg) customers can enjoy a unique combination of food with family members and friends,” explains Dr. Saif Aldhaheri “We are proud that in a short span of time our customers are happy and satisfied. We are Emiratis and we must make this project successful for our people and the country. 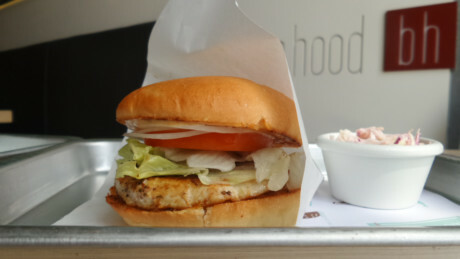 This is the vision we have and we want everyone to love Burger Hood,” adds Dr. Aldhaheri whose restaurant menu, he says, is made up of ‘compelling burgers’ made from grass fed beef to free range chicken to sumptuous mushroom burgers. “Today burgers are no longer just fast food or an unhealthy snack but a wholesome meal in many places where people are willing to spend hundreds of dirhams,” says Himadri Gautam, CEO and co-founder of allin101.com, a website that lists and rates UAE-based restaurants. “This new culture has given rise to what we call gourmet burgers. Each restaurant offering burgers in Dubai today pride itself not just on the kind of patty they make but what goes with it to make it almost like a work of art and there are plenty of such restaurants flipping burgers to suit all pocket,” says Gautam. The Counter, an American high end fast casual restaurant chain that opened last year on JBR Walk has become somewhat a rage for custom topped gourmet burgers based on what diners jot down on a clipboard to get a unique ‘Build Your Own Burger’ experience. According to the chain, there are precisely 312,120 possible topping combinations at their restaurants. Wael Khechen, 32, the operations manager of the newly opened Cafe Rouge says many Dubai’s restaurants today are serious about giving diners ‘an exceptional burger experience’. 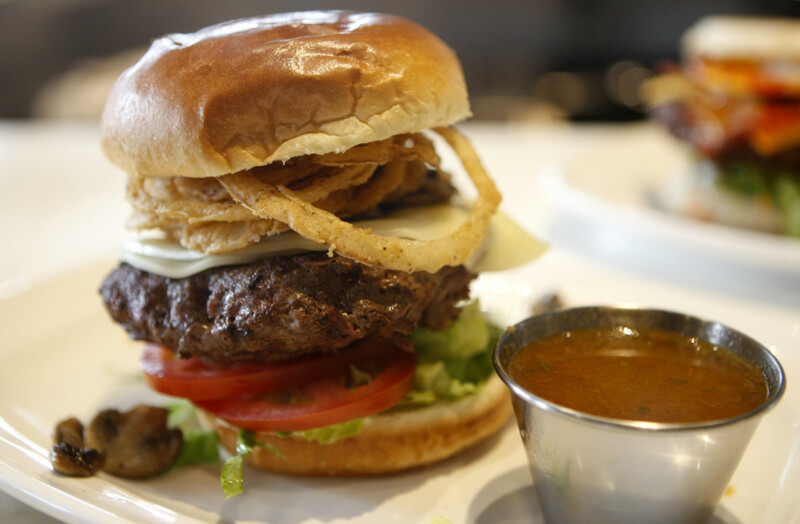 “We are a French restaurant known for our distinct French specialties like a croque monsieur or premium cut steaks yet if a customer walks in hoping to bite into a burger, we have it for them. The patties in our beef burgers are made with top quality beef and that makes a lot of difference,” says Khechen whose restaurant – the first Café Rouge outlet outside of the UK – opened only a few months back at Souq Madinat with both beef and chicken burgers in its menu. This, after all Café Rouge restaurants in the UK introduced beef burgers recently. “Dubai had to be in sync with not just a global trend but also what’s now becoming a vey deep-rooted local trend,” adds the Lebanese.